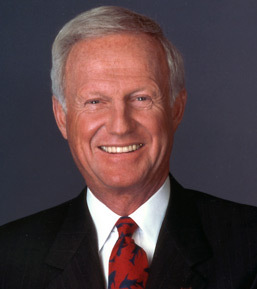 Harvey Mackay is a world-renowned business speaker and sales guru. He’s written multiple New York Times best-selling books and his work has been recognized by sales leaders the likes of John C. Maxwell and Jeffrey Gitomer. In his latest book, The Mackay MBA of Selling in the Real World, Harvey shares with his readers the keys to becoming a top performing salesperson and lessons that he’s learned from his life starting as a newspaper delivery boy to becoming the CEO of a $100 million company. The book isn’t so much about the latest sales tactics and strategies. Harvey is pretty old school when it comes to his approach, but the core of his message is about the intangible aspects that makes a sales superstar. His book comes in highly digestible, bite-size pieces so you can pick-up the book from anywhere you want and there’s always a nugget that you can easily apply to your life and career. To me, this book was all about the mentality of what makes you successful in sales and in life. 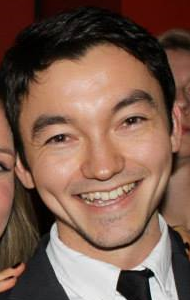 (Aren’t we all in sales after all?) Chock full of inspirational quotes like “make a second effort your second nature” and stories with a powerful message, this book will give you a greater sense of confidence and motivation to be the best salesperson you can be. "If I had to name only three traits that make a great sales representative, they would be: hungry fighter, hungry fighter, hungry fighter." Right from the get-go, Harvey stresses the importance of being a hungry fighter. I love the term hungry fighter because it captures so much of what it means to be in sales. According to Harvey, being a hungry fighter means that you’re driven and have a passion for what you sell. It’s about having a strong work ethic and a high energy level. It’s about being willing to work longer and harder than your peers especially when the times are rough or the economy is poor. The theme of being a hungry fighter appears throughout the book and for good reason. Sales is a contact sport and being able to handle rejection and maintain a positive attitude is something that all salespeople need to be able to do. Vince Lombardi, legendary coach of the Green Bay Packers once said, “It’s not whether you get knocked down. It’s whether you get up again” and a hungry fighter always gets back up. "Success may not be predictable, but its achievement nearly always relies on a spirit of positive thinking." Maintaining a positive attitude is critical for sales success. When faced with a sea of rejection, the salesperson that is able to overcome the self-doubt and pressure always comes out on top. Winston Churchill was famously quoted saying, “I am an optimist. It doesn’t seem too much use being anything else.” A hungry fighter is one that can appreciate the realism of a challenge but is willing to do whatever it takes to overcome it. Optimism pays off as well. A psychologist at the University of Pennsylvania found that optimists are more successful than equally talented pessimists in business, education, sports and politics. The study showed that optimists outsold pessimists by 20 percent the first year. During the second year, optimists outsold pessimists by 50 percent! Harvey is an eternal optimist and he believes that there is nothing we can’t do if we set our minds to it. It helps to be realistic but not when it limits your potential. Most of us will not pitch in the World Series but we can still set an ambitious goal to achieve in our lives. A hungry fighter with a positive attitude starts the day getting pumped up about the day and spends the rest of the day fighting the self-doubt and worries that might paralyze action. How are you developing and maintaining a positive attitude each day? "People are successful because they face adversity head-on to gain strength and skill. They don’t take the path of least resistance." Just as important as maintaining a positive attitude is the ability to embrace failure and learn from it. Four hall of fame coaches in the NFL – Tom Landry, Chuck Noll, Bill Walsh, and Jimmy Johnson – earned a total of 3 wins in their first seasons coaching combined. All four of them also failed to make the playoffs the following season. But when all was said and done, they won 11 Super Bowls between the four of them by the end of their coaching careers. Some might say the adversity that they faced during the first couple of seasons set them up for subsequent success. Harvey believes that there are three key ingredients to success: don’t quit; don’t quit; don’t quit. Theodore Geisel (aka Dr. Suess), author of The Cat in the Hat, didn’t write his first book until he was 33 and had to go through 28 publishers to finally get his book published. Failing is the admission to success and hungry fighters look for adversity to challenge them to get better. I really appreciated this piece of advice because some of the greatest lessons that I’ve learned in my life came from my failures – not my successes. So how does one become more resilient and seek out challenges? Prepare yourself mentally and physical to grind it out. Professionals dedicate over 10,000 hours (that’s about 10 years of their lives) of diligent and purposeful practice that separates them from the amateurs. Find out what gets you in the zone. Getting in the zone is about committing yourself to excellence and looking for coaching/mentorship to get you better. Practice perfect. Learning from a failure is great but if you continue to practice the same technique that led you to failure, you’re just practicing a flaw. Identify the flaw, change it, and then practice until it’s perfect. How are you helping people get what they want? What are your best practices for being a hungry fighter?